Author JonathanPosted on 2010-10-22 2010-10-22 Categories PhilosophyLeave a comment on Do human rights exist? 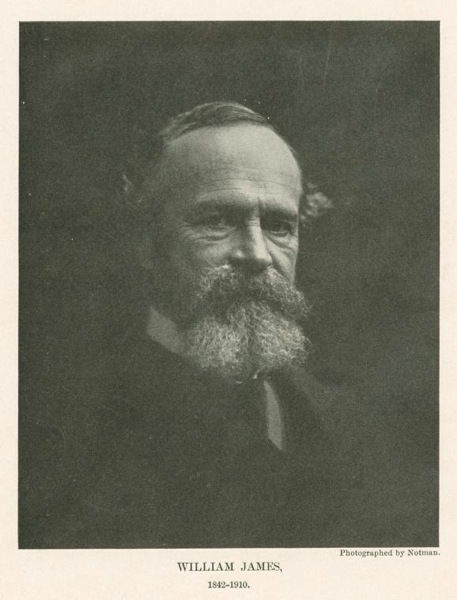 I call your attention to the introductory post for a new series in the Guardian’s “How to believe” feature: William James, part 1: A religious man for our times ; I look forward to the future posts. 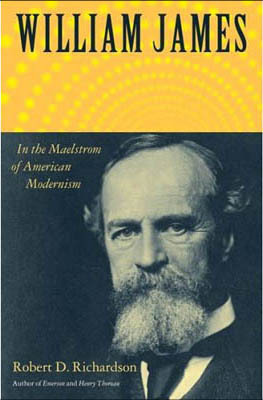 I also wanted to mention a relatively recent (2006) biography, William James: In the Maelstrom of American Modernism. I picked up a hardcover copy from a bargain table in Minneapolis a year ago, and have been working my way through it ever since. It’s a reflection on my reading habits, not the quality of the writing, that a year later I’m only halfway through. It’s by Robert Richardson, who won the 2007 Bancroft Prize for his work. No argument from me. I’d put it at the top of the heap, along with Ray Monk’s most excellent Wittgenstein bio. The talk is intriguing, if arguable in places. The animation is wonderful. Try to watch it full-screen. … So as a rational, self-interested actor, it makes no sense for me to vote. There is a reason why it’s important to tell us on election day that our votes will make a difference: thinking about it will lead the economically rational to conclude it’s not true. Nor did it make any sense for me to hold my nose. It was even more absurd than the enthusiasm of the football supporters in the pub last night, shouting in disappointment when their team missed a goal on television. They are least were taking part in a collective ritual with their friends; I was quite alone and unobserved. One way of interpreting all these actions is as a form of sympathetic magic. While my rational mind knows perfectly well that neither my vote nor my pantomime will have any effect they are both behaviours that make sense only if on some level I do expect them to be effective. Similarly, the football fans surely believe that their support helps their team along – they behave as if they do, and still more as if the team was damaged by a lack of belief. Andrew Brown points us to Simon Blackburn’s review in The New Republic of a new biography of R G Collingwood, quoting along the way this admiration. New to me: How to believe is a series in the Guardian (“Join our experts as they blog great works of religion and philosophy”). Here’s a summary of the topics so far (follow the link for more detail); looks good to me. Next up: Giles Fraser on Wittgenstein. Franklin Lewis: Rumi’s influence has long been felt throughout the Muslim world. Will his recent success in the west prove as long lasting? Paul Helm: Calvin’s influence is still being felt today. But the reformer was a complex man, with a dark side. Mark Vernon: Plato increasingly looks not just like a generator of footnotes, but a philosopher whose time is coming again. Simon Critchley: The most important continental philosopher of the last century was also a Nazi. How did he get there? What can we learn from him? Mary Midgley: How to believe: Thomas Hobbes invented, in Leviathan, the modern idea of the individual. It has been hugely politically liberating. But is it realistic? Julian Baggini: The most pressing and telling critiques of religion not only cannot, but should not, attempt to deliver any fatal blows. Jane Williams: Acts tells the story of a disparate group of men who, against the odds, came to spearhead an international movement. Giles Fraser: Nietzsche thought religion in general, and Christianity in particular, was a corruption of the human spirit. From Fr Marc, via Sr Juliann. For our money is the Lord’s, however we may have gathered it. If we provide for those in need, we shall obtain great plenty. That is why God has allowed you to have more: not for you to waste on prostitutes, drink, fancy food, expensive clothes, and all other kinds of indolence, but for you to distribute to those in need. Just as an official in the government treasury who neglects to distribute wealth as he is ordered (spending instead on his own indolence) pays the penalty and is put to death, so also the Rich Man is a kind of steward of the money which is owed for distribution to the poor. He is directed to distribute it to his fellow servants who are in want. So if he spends more on himself than his need requires, he will pay the harshest penalty hereafter. For his own goods are not his own, but belong to his fellow servants. Prooftexting is the practice of using decontextualized quotations from a document (often, but not always, a book of the Bible) to establish a proposition. Critics of the technique note that often the document, when read as a whole, may not in fact support the proposition. While the Ps 109 coffee mugs are not precisely “establishing a proposition”, they’re a good example of decontextualization and the hazards of prooftexting. 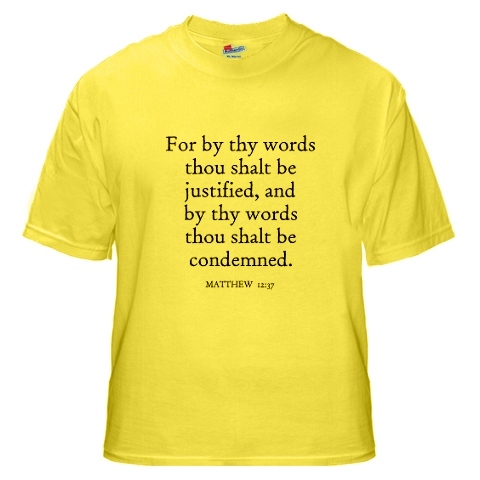 I tell you, on the day of judgment men will render account for every careless word they utter; for by your words you will be justified, and by your words you will be condemned. 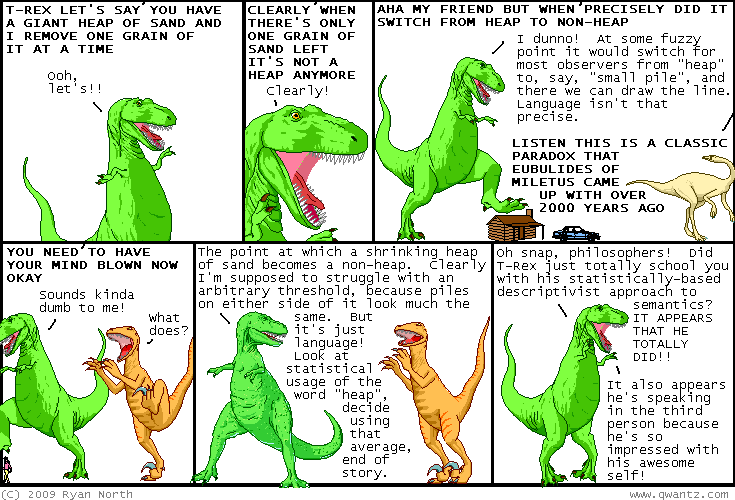 …which loses nothing by being shorn of its context, though you’ll find the context interesting. It’s a warning that will fall on deaf ears, of course. In one of those nice coincidences, Fr Marc also answers a question I hadn’t asked, aloud anyway. I wrote, “condemned out of their own mouths,” and then blew several minutes trying to find out where the hell the phrase came from. “Out of their own mouths shall they be condemned,” it turns out, comes from a piece of Reconstruction-era Republican campaign literature (q.G. ), but obviously Matthew 12 was what I was looking for. So, it’s Hallowe’en (and Samhain). Let’s give Andrew Brown the floor. Halloween was once a night of real fright, when the dead and the fairies walked close to us. How did that work? This from the ballad of Tam Lin, which, if you don’t know, you should go and listen to now. Now while the song is running, there is no trouble believing the story, or at least in suspending disbelief. The defiance of Janet to her father is more vivid to me than almost anything any living woman has said. But at the same time I find that modern hallowe’en, the children’s festival with dressing up and sweets, not all of them poisoned, is wholly impossible to take seriously. The best answer that occurs to me is that the difference is made by participation – if you like, by playing along. Children believe in the particular game they happen to be playing. Of course, they understand, as we do, that the world could be otherwise, and the game might stop. Hence the delicious thrill of a game that breaks that rule, and becomes real. But the point that the world might be otherwise, and that the game might end, actually testifies to its reality while it lasts. Giles Fraser once said to me, in an entirely different context, that all sorts of people who can’t bring themselves to say the creeds will sing them happily enough. He’s right. The two activities are profoundly different. The song is not the same as the lyrics read out loud, and this is true even if it has no accompaniment. Choral or just collective singing is different again – a point that’s obvious if we look at the completely secular activity of football chanting: on Saturdays the terraces of North London are full of otherwise respectable men singing things about opposing players that they would find literally unspeakable at work on Monday morning. So the way to understand the spread of Halloween is not as a spread of beliefs, but of a set of games, or little dramas, if you will. To get hung up on the apparent content of the game is to make a kind of category mistake: year after year, a certain kind of evangelical will announce that Halloween is a festival of evil; year after year, they fail to understand that the child who plays at being a witch is much closer to becoming a Christian or to understanding any kind of religion than the one who never plays at anything at all. But it’s not just evangelicals who get this kind of thing wrong. I do it myself all the time, most recently when mocking the Anglo-Catholics; for the answer to the question “How can they believe these ludicrous things?” is that they act them out. They feel their beliefs are true because they are embedded in a structure of ritual, both inside and outside church. Their words are given content by their actions. Without the actions, the words mean nothing. This sounds like a vaguely moral exhortation but it is just a plain fact. Without action, we couldn’t understand the meaning of any words at all. When the Christian says they believe in order to understand, this sounds to the atheist like an abdication of responsibility. But in fact is is a recognition of necessity. There is a sense in which we can’t understand the beliefs we don’t act on. That’s why playing is so important. By pretending to act, we gain a sort of understanding — which is why I believe that Queen of Fairies will look at Tam Lin tonight and say “Had I known, Tam Lin, what this night I did see. I would have plucked out both your ey’en and put in two of tree” — at least I will believe it while the music plays. I think now McClatchey was right, and I was wrong to say that the Anglican Communion ended this week. The Anglican Communion actually ended at least 20 years ago, almost as soon as I started to write about it. There might be a federation of churches, more or less united by affection and common ancestry, but there would not be a single body with a common understanding of who was a priest, or a bishop, or what these titles meant. That is why the Pope has parked his tanks on the lawn that was once Runcie’s. But at the same time, I wonder if Runcie, too, was not right all along, and that one day, despite all the best efforts of Pope John Paul II, a woman will not walk through the doors of St Peter’s and be received as a priest. After all, gay people have been doing that for centuries. Just sometimes, science fiction comes out right; in 1928 a philosophy lecturer saw the 21st century clearly. My daughter picked up a book on Greek philosophy in a second hand bookshop and when we turned to the section on Epicurus one passage leaped out. The author, a lecturer at Queen’s University, Belfast, is trying to explain the philosopher’s thought-world since “the words epicure and epicurean have a bad sound”. That was published in 1928. Mark Liberman. I have mixed feelings about the concept. 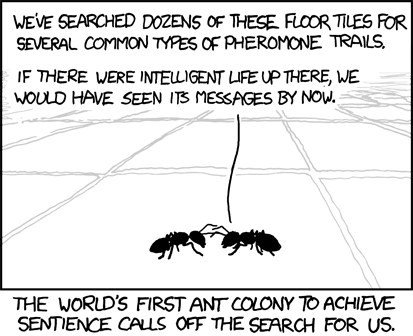 Sometimes it’s the critical clue that ends up under the rug. While Ockham’s razor clearly has an established important and honourable place in the philosophy and practice of science, there is, despite its somewhat pejorative connotations, an honourable place for the broom as well. Biology, as many have pointed out, is untidy and accidental, and it is arguably unlikely that all the facts can be accounted for early in the investigation of any given biological phenomenon. For example, if only Charles Darwin had swept under the carpet the variation he faithfully recorded in the ratios of inherited traits in his primulas, as Mendel did with his peas, we might be talking of Darwinian inheritance and not Mendelian (see ). Clearly, though, it takes some special sophistication, or intuition, to judge what to ignore. Weekend reading from Bertrand Russell, 1932. Here’s his first paragraph; I hope you’re not so idle that you don’t read the whole thing. …it is a personal injustice to withhold from any one, unless for the prevention of greater evils, the ordinary privilege of having his voice reckoned in the disposal of affairs in which he has the same interest as other people. If he is compelled to pay, if he may be compelled to fight, if he is required implicitly to obey, he should be legally entitled to be told what for; to have his consent asked, and his opinion counted at its worth, though not at more than its worth. There ought to be no pariahs in a full-grown and civilised nation; no persons disqualified, except through their own default. Every one is degraded, whether aware of it or not, when other people, without consulting him, take upon themselves unlimited power to regulate his destiny. And even in a much more improved state than the human mind has ever yet reached, it is not in nature that they who are thus disposed of should meet with as fair play as those who have a voice. Rulers and ruling classes are under a necessity of considering the interests and wishes of those who have the suffrage; but of those who are excluded, it is in their option whether they will do so or not, and, however honestly disposed, they are in general too fully occupied with things which they must attend to, to have much room in their thoughts for anything which they can with impunity disregard. No arrangement of the suffrage, therefore, can be permanently satisfactory in which any person or class is peremptorily excluded; in which the electoral privilege is not open to all persons of full age who desire to obtain it. Mill isn’t being coy. He explains in the very next paragraph how his vision of universal suffrage differs from our default idea of automatic universal suffrage. There are, however, certain exclusions, required by positive reasons, which do not conflict with this principle, and which, though an evil in themselves, are only to be got rid of by the cessation of the state of things which requires them. I regard it as wholly inadmissible that any person should participate in the suffrage without being able to read, write, and, I will add, perform the common operations of arithmetic. Justice demands, even when the suffrage does not depend on it, that the means of attaining these elementary acquirements should be within the reach of every person, either gratuitously, or at an expense not exceeding what the poorest who earn their own living can afford. If this were really the case, people would no more think of giving the suffrage to a man who could not read, than of giving it to a child who could not speak; and it would not be society that would exclude him, but his own laziness. When society has not performed its duty, by rendering this amount of instruction accessible to all, there is some hardship in the case, but it is a hardship that ought to be borne. If society has neglected to discharge two solemn obligations, the more important and more fundamental of the two must be fulfilled first: universal teaching must precede universal enfranchisement. 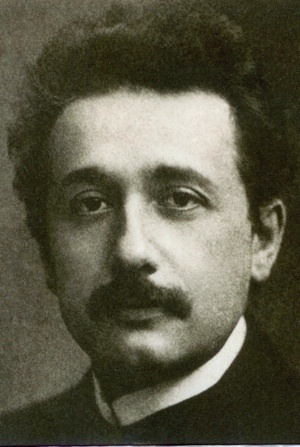 No one but those in whom an à priori theory has silenced common sense will maintain that power over others, over the whole community, should be imparted to people who have not acquired the commonest and most essential requisites for taking care of themselves; for pursuing intelligently their own interests, and those of the persons most nearly allied to them. This argument, doubtless, might be pressed further, and made to prove much more. It would be eminently desirable that other things besides reading, writing, and arithmetic could be made necessary to the suffrage; that some knowledge of the conformation of the earth, its natural and political divisions, the elements of general history, and of the history and institutions of their own country, could be required from all electors. But these kinds of knowledge, however indispensable to an intelligent use of the suffrage, are not, in this country, nor probably anywhere save in the Northern United States, accessible to the whole people; nor does there exist any trustworthy machinery for ascertaining whether they have been acquired or not. The attempt, at present, would lead to partiality, chicanery, and every kind of fraud. It is better that the suffrage should be conferred indiscriminately, or even withheld indiscriminately, than that it should be given to one and withheld from another at the discretion of a public officer. In regard, however, to reading, writing, and calculating, there need be no difficulty. It would be easy to require from every one who presented himself for registry that he should, in the presence of the registrar, copy a sentence from an English book, and perform a sum in the rule of three; and to secure, by fixed rules and complete publicity, the honest application of so very simple a test. This condition, therefore, should in all cases accompany universal suffrage; and it would, after a few years, exclude none but those who cared so little for the privilege, that their vote, if given, would not in general be an indication of any real political opinion. We find (or at least I found, at first reading) this to be just a bit shocking, reading it through the lens of history, in particular Reconstruction and the Jim Crow South, aware as Mill was not of the pernicious use of literacy tests and poll taxes to prevent whole classes and races from voting, even after legal suffrage was granted. On the other hand, it’s hard to see how a democracy can work if its citizens are throwing darts at their ballots or, worse, voting based on systematically bad information, something demagogues and soundbites make their living on. To the extent that we try to address Mill’s concerns these days, it’s through voter education: media reporting, candidate debates and the like. But these can generate more heat than light, with he-said/she-said and horserace reporting, and “debates” that end up being extended exercises in message control. This is, I believe, the central problem of the democratic project, and I’m completely at a loss for a solution.